WASHINGTON -- It's one of the most universal recommendations in all of public health: Floss daily to prevent gum disease and cavities. Except there's little proof that flossing works. 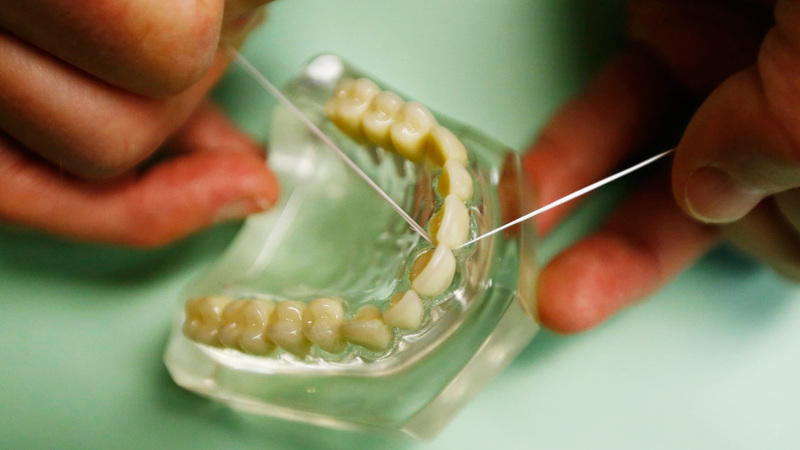 The federal government has recommended flossing since 1979. Last year, the Associated Press asked the departments of Health and Human Services and Agriculture for their evidence. When the federal government issued its latest guidelines this year, the flossing recommendation had been removed, without notice. In a letter to the AP, the government acknowledged the effectiveness of flossing had never been researched, as required. The AP looked at the most rigorous research conducted over the past decade, focusing on 25 studies that generally compared the use of a toothbrush with the combination of toothbrushes and floss. The studies found the evidence for flossing was "weak" and "very unreliable." Wayne Aldredge, president of the American Academy of Periodontology, acknowledges the weak scientific evidence. Still, he urges his patients to floss to help avoid gum disease.